Here at JR Holland we pride ourselves on offering only the freshest fruit and vegetable produce with a quick turnaround and with excellent customer service in tow. We are a top Restaurant Food Supplier based in the North East of England, and the eldest in the region, offering our supplying services to additional businesses in the education and healthcare sectors. The foundation of our reputation is built on the produce that we deliver to our customers on a daily basis. We are constantly striving for quality and consistency, to make our customers happy with every order. We always source British products; but when it comes to more exotic produce for example bananas, pineapples and oranges this isn’t possible, therefore we ensure that we work direct with companies that are committed to a fair relationship with farmers from the developing world. Another way that we source our products responsibly is by continuously striving to reduce food miles. 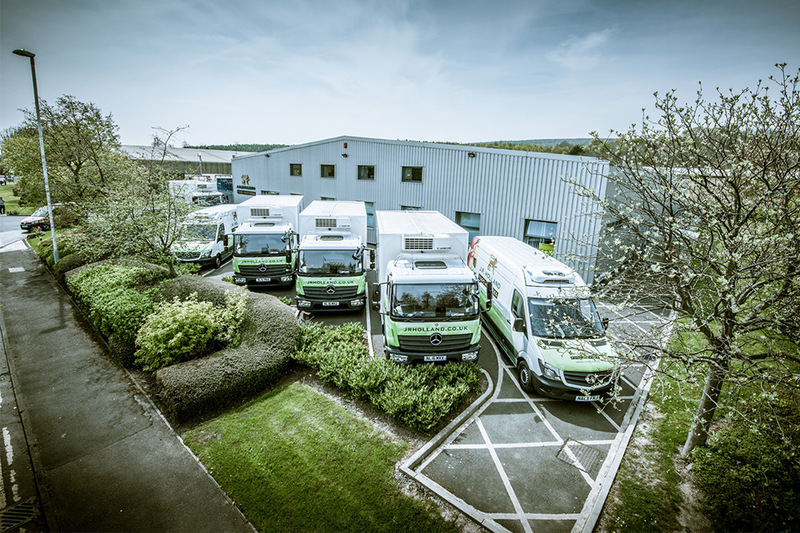 We have a fleet of 42 modern temperature controlled trucks to deliver goods that we have received locally from local growers / farmers, wherever possible. As we deliver our produce to businesses within school, healthcare and restaurants we are committed to ensuring that our deliveries arrive on time, as expected and of high quality. We currently make 4,800 deliveries a week, and as we are consciously aware of the impact that we can have on the environment we are dedicated to living green through our distribution process. The multiple ways that this is put into practise is by operating a returnable crate system, which ultimately cuts down the amount of cardboard, plastic and wooden packaging. We currently recycle 80% of our packaging from our suppliers, we have advanced IT tracking and routing systems to ensure that our drivers optimise their fuel efficiency and a proportion of our products are collected by us on backhaul ultimately reducing the unnecessary transportation of empty trucks. We save over 1000 tonnes of cardboard and paper waste a YEAR, by using 250,000 fewer cardboard and wooden boxes each year! If you are interested in learning more about the produce we supply, where we source our produce from, or to get in touch for delivery enquiries, then please do not hesitate to give us a call on 0191 491 0856.